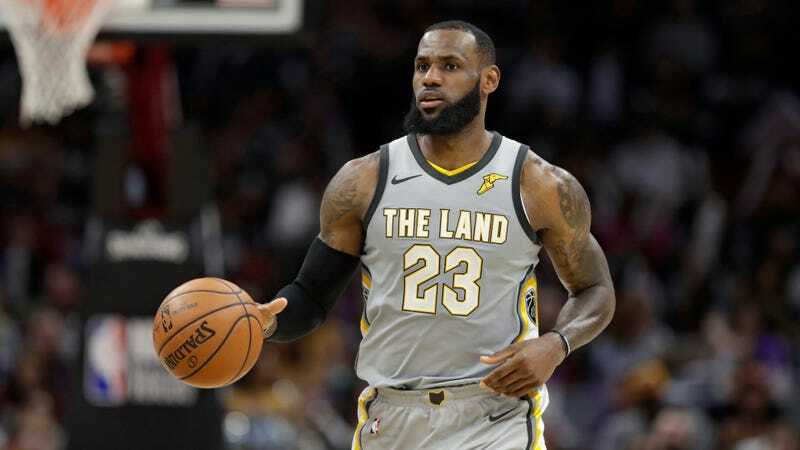 LeBron James, the greatest basketball player ever not to play college hoops, spoke up about the very stupid FBI investigation that has currently engulfed the sport. While James didn’t play college ball, he dipped his toe in the recruiting process and has firsthand experience with its shady side. His take on how to fix the NCAA: Torch it. “I don’t know if there’s any fixing the NCAA,” James said. “I don’t think there is. It’s what’s been going on for many, many, many, many years. I don’t know how you can fix it. I don’t see how you can fix it.” He called the association “corrupt” and compared the federal investigation to the movie Blue Chips. James called for the NBA to buff up its farm-league system, which would weaken the NCAA’s grip on basketball development. He noted the way the top-level soccer teams start developing kids as teenagers, so that by the time they’re ready to join the first team, they’re used to the structure of pro sports and have been paid throughout the time needed to develop.